Eurasian lynx – these are thumbnails. See base of post for license. The Eurasian lynx is the largest of the European wildcats. It is also the largest of the subspecies of lynx of which the American bobcat is part. The other is the Canada lynx. The habitat is typically forest and includes the rocky hillsides of northern Europe, Russia and central Asia. The coat is typically tawny colored with black spots. The ears have classic black ear tufts. Prey is commonly quite large – deer but includes hares and chamois. Home ranges can be very large at almost 300 square kilometers. Territory is marked in the usual way with urine spraying, deposits of feces and scratching and claw-raking. Scent is also deposited by rubbing. The range is enormous and the population, despite being extensively hunted, is said to be stable hence classified as Least Concern by the Red List. The last picture shows a cat with plain or plainer fur. The fur is variable from red/brown with spots to a plainer coat. There is always a general coloration and spotting, or “striped” and “unspeckled”. Because of the wide range (see below) there is considerable regional variation in phenotype (the appearance through the genetic makeup) (src: Bern Convention Action Plan – BAP – dated 2000). The coat is greyish and tinted with a rusty reddish color along the back of the cat and sides, while the underside is creamy white. The coat is ticked and is a tabby cat coat (new window). The body is quite short. The feet are large and the legs long. The head is round. The facial part of the skull is short, which allows for high biting forces. The ruff is distinct. The claws are sharp, ideal for catching prey and holding it and they can retract. Cats walk on their fingers (5 at the front and 4 on the hind legs). The scientific name is Lynx lynx. It is argued that lynx populations in Eastern Europe are overestimated risking over harvesting through hunting (see below please). The Eurasian lynx is classified as Least Concern (LC). “Least Concern (LC) is an IUCN category assigned to extant species or lower taxa which have been evaluated but do not qualify for any other category..” (src: Wikipedia, verbatim). This classification is made despite the fact that this wild cat is considered Critically Endangered in respect of some European sub-populations. Also in Europe this cat has been extirpated (destroyed completely) in most of Western Europe and survives in certain areas where it is hunted. The species is being reintroduced into Western Europe. It would seem that the rather generous assessment (for me) is largely based on the fact that 90% of the Eurasian lynx occupy the Siberian forests of Russia. And the fact that hunting for pelts (skin and fur) has reduced in Russia and China. At its height the trade in Lynx pelts numbered about 6,000 per year but is currently less than 1,000 per year from each of Russia and China (src: Big Cat Rescue). I don’t know how accurate these figures are. The Red List does not mention figures and they are the main source for this kind of information or should be. However, the Red List does say that despite being listed in CITES Appendix II and protected under the Bern Convention (Appendix III) both sport and commercial hunting is allowed in Russia. The substantial book, The Physical Geography of Northern Eurasia, Edited by Maria Shahgedanova (latest edition 2003 and priced at $203) – provides some further insights into Eurasian lynx populations and hunting of this wild cat in Russia. Although the book is published in 2003 it seems that the data relates to perhaps 5 or more years earlier, which should be taken into account. The authors state that there are about 30,000 Eurasian lynx in Russia. Two thousand are legally shot each year. While in European Russia the greatest population density is in the Vologda region (10-15 per 1000 Km²). In central European Russia the density is lower at 4-5 per 1000 Km². The authors say the populations are declining particularly in western regions. European Russia is west of the Ural Mountains. The part of Russia left of the red pin (the line of the Ural Mountains) is European Russia. In Turkey the Eurasian lynx have been nearly extirpated or are rare across the region. The elusive nature of the lynx makes it hard to hunt and in the Ukraine and Romania trophy hunters are more interested in hunting the bear. While in Poland it is heavily poached as it is valued as a trophy. The Lynx causes little livestock damage/loss. The greatest threats are (a) habitat “modification”, decline in its prey (due to over hunting) and poaching. Lynx are hunted for trophy value. Poaching in Slovakia may be “considerable” despite strict protection. Human activities are in conflict with conservation. The Lynx prey is also hunted by humans (my comment: we do i t for pleasure the Lynx out of necessity). The Carpathian Mountains are a good habitat for the Lynx. 30% of European Lynx occupy the Carpathian Mountains. Eastern European people have a long tradition of hunting. In the countries discussed, Poland, Romania, Slovakia and Ukraine the territories are divided into hunting grounds. The hunting grounds are managed by non-governmental bodies (HG Managers). Except for Poland hunting permits are bought. Generally, hunting quotas are calculated by HG managers based on density “estimates”. Proper methods for evaluating population density are not followed systematically. The Ukraine was singled out as surveys were considered haphazard. The official estimates from HG Managers as to population sizes are rejected as inaccurate by local researchers consulted – this is very important information as it goes to the accuracy of Red List assessment as it is probable that information for population density comes from these people. After all they are the managing bodies. Ultimately regulation of hunting is “monopolised” by hunting clubs and law enforcement is unsuccessful as the enforcing authorities don’t “consider illegal hunting as a social offence” . In other words there is a lack of commitment to the legislation, indeed a disbelief in it. Eurasian lynx populations are overestimated leading to inaccurate hunting quotas risking over harvesting. There is heavy illegal hunting in the Alps. Illegal hunting generally needs to be much better controlled. Fragmentation of habitat and dense human population are factors in threatening the Eurasian Lynx survival as well. There is a lack of scientific involvement thus hindering management plans. Slovakia 1037 200 Strict protection. Hunting not allowed. Poland 250 150 Strict protection. Hunting not allowed. Ukraine 300 300 Strict protection. Hunting not allowed. Romania 2600 1700 Hunting restricted to part of the year. The discrepancies between the official figures for populations and the “experts” is stark. In respect of Slovakia the official figures are over 5 times higher than local researches. Altay, Russia – forests in the range of the Eurasian lynx (thumbnail). This is the kind of habitat where this wildcat could be found. Home range (“The area an animal uses in the course of its daily activities…” src: About.com) averages averaged 248 km² (males) & 133 km² (females). ungulates (“pawed” or “hoofed animal” – 15 kg musk deer to 220 kg adult male red deer). mountain hares and tetraonids ( e.g. grouse – Russia). Unknown, poor management, declining pops. 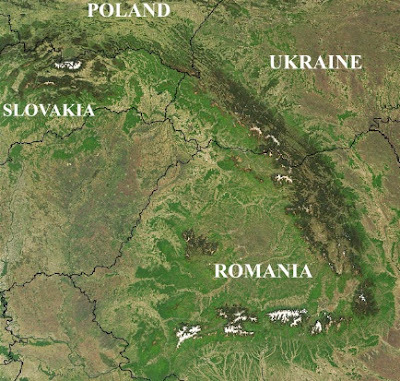 Carpathian Mountains: Czech, Slovakia, Poland, Hungary, Ukraine, Romania, Yugoslavia. 2,800 live here. BAP claims: 2,200. Largest lynx pop. in Europe. Distinct from other lynx, almost own sub-species. 2,000 – stable population (src: Wiki). This seems to conflict with the figure above (Carpathian Mountains). Balkan Peninsula: Yugoslavia, Albania, Macedonia, Greece. Est. 100 brink of extinction. See more (new widow). BAP claims: 50 lynx. Pop isolated from all others. Highly threatened, urgent action needed. Exterminated, reintroduced, poached still. Less than 105. Extirpated and reintroduced. !130 – 200. 409 –439 stable (Wikipedia). BAP says that there 2,500. The Nordic pop. has recovered since 1850 and is stable but hunting quotas is allowed. 1,400 (2006) Hunting controlled by government c.f. Carpathian Mountains. 700 (2005). Population estimates are difficult to make accurate as distribution is scattered. Claimed stable. Hunted in Latvia. Estimated (rough estimate) 2,000 lynx. Lynx hunted in Estonia and Latvia. All are due to human activity. This is an interesting video of a rescued Eurasian lynx in Finland. The cat was released soon after this video was made. It is illegal to keep wild animals in captivity as pets in Finland. top and second down photo plus of the Russian forest– license: published under a Attribution-NonCommercial-NoDerivs creative commons License — this site is for charitable purposes in funding cat rescue. Have Information to Add or Feedback to Make? This entry was posted in Lynx, Wild Cat Species and tagged eurasian lynx, largest cat, small wild cat species, wild cat species by Michael Broad. Bookmark the permalink.